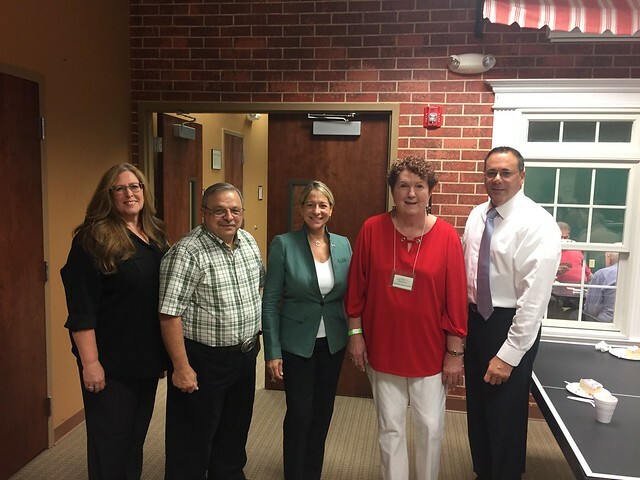 The Senior Activities Room, located in the Hillsborough Township Municipal Building, recently celebrated its 10 year anniversary. Members of the Township’s Senior Groups (A & B) joined the festivities along with the Hillsborough Township Social Services staff. 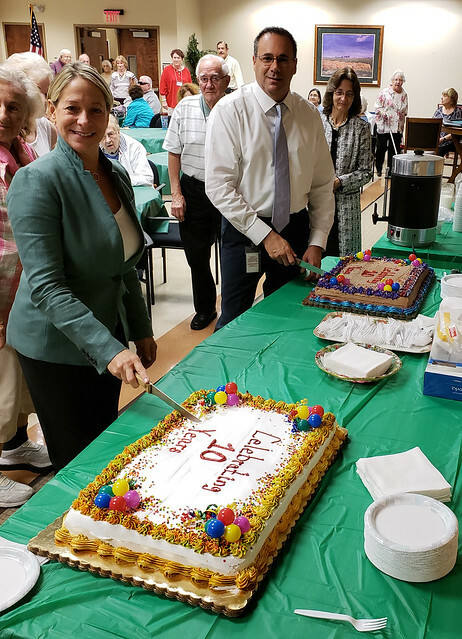 Mayor Gloria McCauley was on hand to cut the cake and asked Township Administrator Anthony Ferrera to cut a second cake, as he was the Mayor at the time of the center’s opening 10 years ago. The center, which is open to Hillsborough residents, age 60 and over, between the hours of 9 am and 4 pm Monday thru Friday, opened its doors in 2008. Some of the activities that routinely take place in the center include knitting, crochet & needlepoint, mahjong, bridge, Scrabble, cards, tripoly, and canasta. Seniors wishing to participate in any of the activities can sign up in the Social Services Office.